Le Blanc is a superb luxury resort, where you can indulge your every whim, whether it's a refreshing swim or sun worshipping at one of the three shimmering pools, a challenging round on one of the two complimentary golf courses or do nothing more than lounging on the beach and swimming in the warm sea. 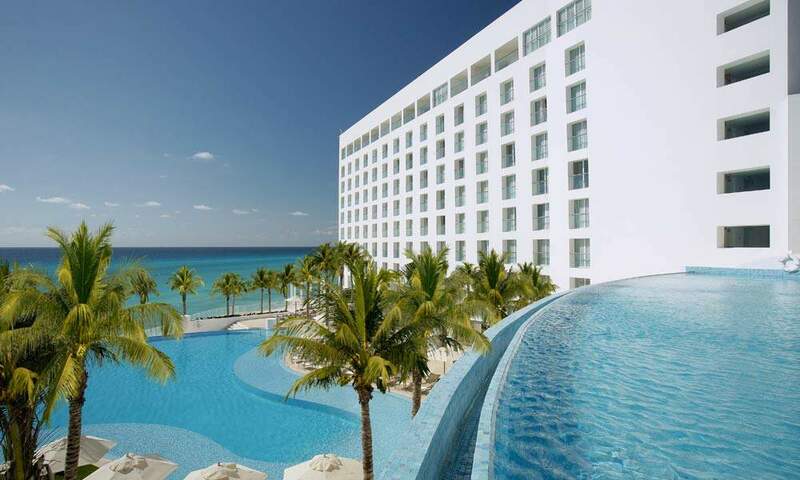 A royal honeymoon in Cancun. 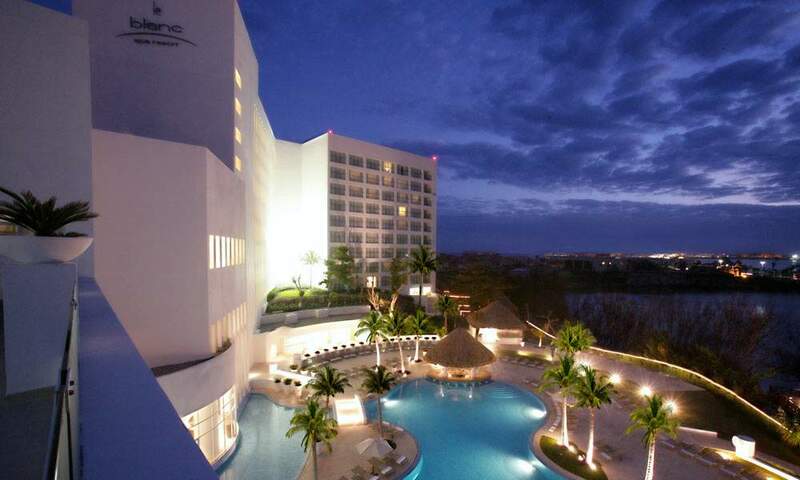 Le Blanc Spa at Cancun has been created to provide you with the ultimate relaxation experience. Unwind in your own personal sanctuary and discover a quiet and soothing space for your total relaxation & well-being. 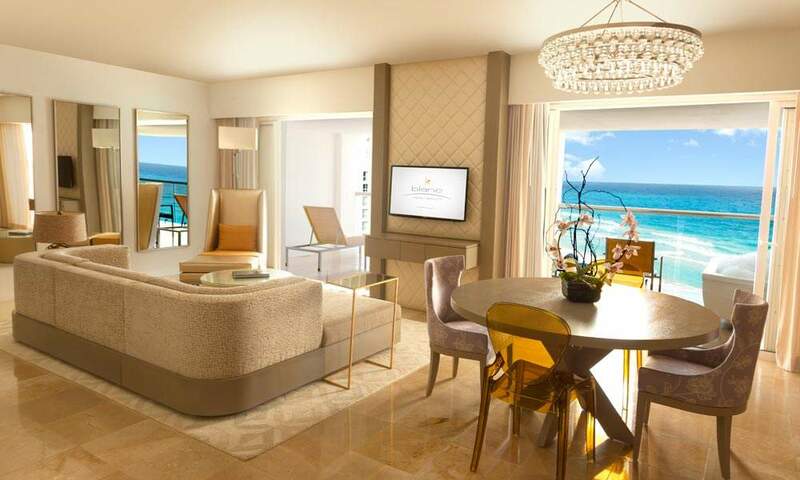 Le Blanc Spa Resort’s standard room features one king or two double beds, a double whirlpool, seating area, French balcony with views of the lagoon and resort or common areas, and Apple TV with WiFi connection and special apps including, iTunes, Netflix and more*. From the cream-coloured marble to the varied hues of brown and white reflected in the linens and draperies, the Royale Deluxe is designed to be your sanctuary. In keeping with Le Blanc’s sophisticated suites, you can enjoy translucent curtains that divide the room, which includes a king bed, seating area and Apple TV with WiFi connection and special apps including, iTunes, Netflix and more*. The Royal honeymoon has been indeed created to provide an intimate atmosphere dedicated to couples. The double whirlpool is located in front of the Caribbean Sea for romantic ambience. In our exclusive Royale Junior Suites, everything has been harmoniously balanced to create a calm, serene atmosphere, including a touch of modernity with Apple TV with WiFi connection and special apps including, iTunes, Netflix and more*. Illuminated bedside tables and dark wood furniture contrast with the off-white design transforming this room into an exceptional experience in itself. The Royal Governador Suite has been created in the most luxurious material with white marble. Moreover, there is a large living room with nice sofas to rest or to receive people. 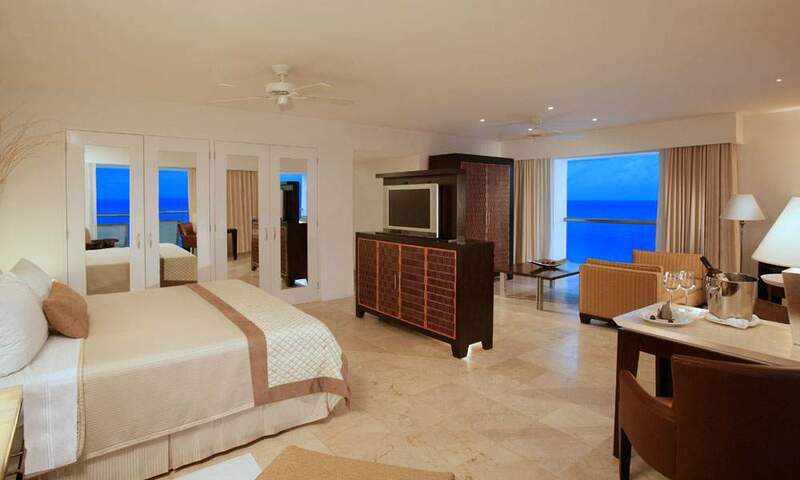 The huge balcony gives you the opportunity to see the Caribbean Sea from the best spot of the hotel. The Royal Governor Suite is equipped with a double shower, a double whirlpool, a king-sized bed, and Apple TV with WiFi connection and special apps including, iTunes, Netflix and more*. You will lack for nothing in this suite. 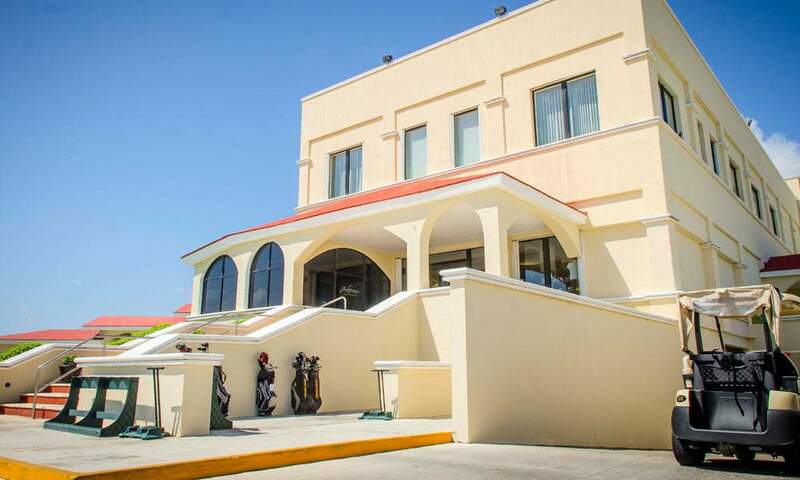 Moon Palace Golf Course includes unlimited golf with food and beverages at the club house. 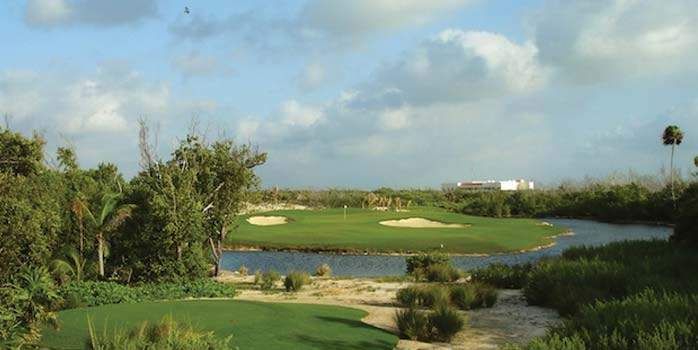 This is a superb 27-hole Jack Nicklaus course with 3 distinctive nines, the Lakes, Jungle and Dunes. The picturesque course has lakes and wetlands as well as plentiful wildlife. 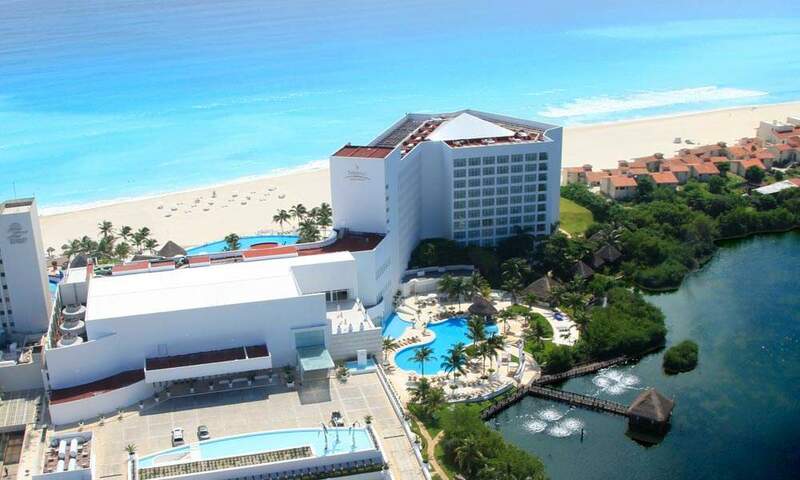 Moon Palace has 27 holes to enjoy and also offers all inclusive at the club house. Golf buggies are compulsory on this course and are approximately $29 per person. Riviera Golf Club has 18 holes and like Moon Palace is designed by Jack Nicklaus. 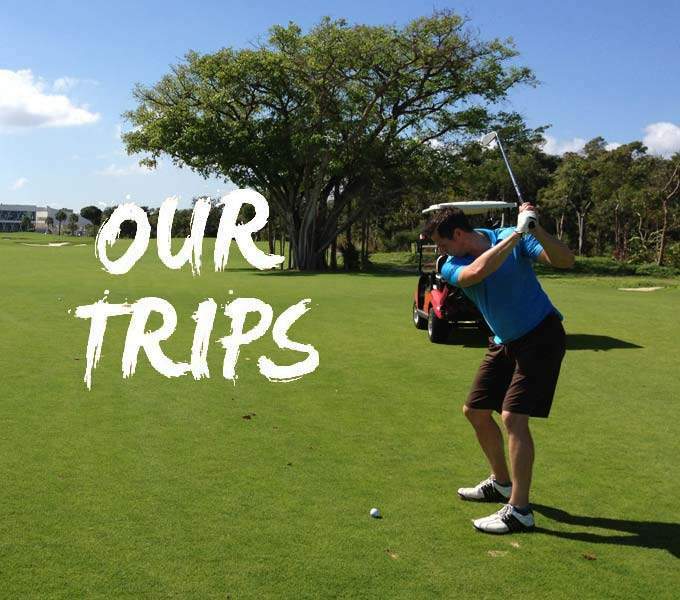 Golf buggies are compulsory on this course and are approximately $38 per person. 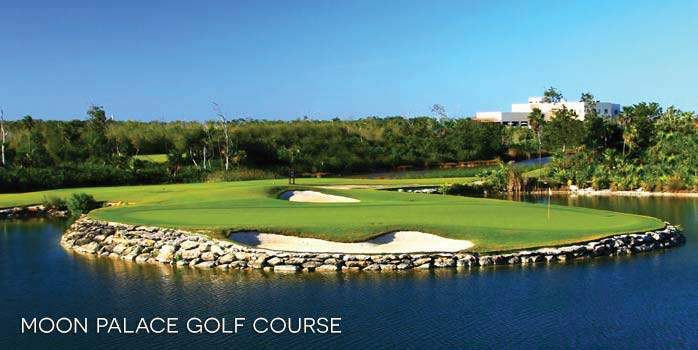 Riviera Cancun Golf Club is an 18 holes (par 72) golf course designed by Jack Nicklaus and located in Cancun’s Hotel Zone. 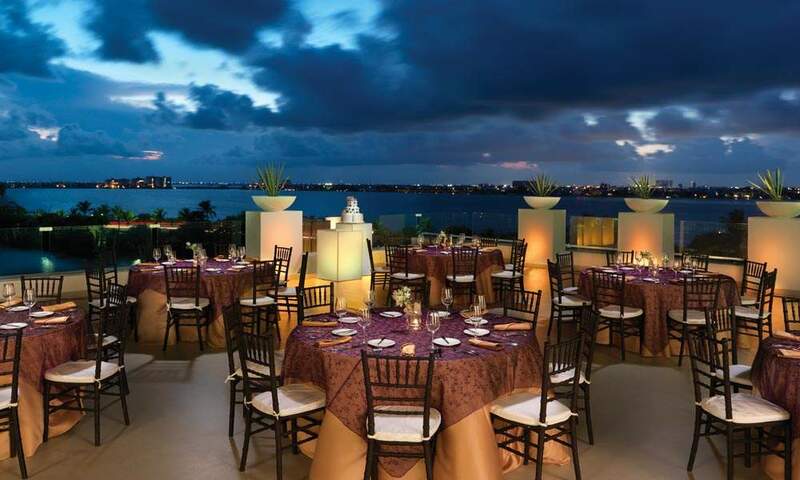 The Club is surrounded by natural fauna and flora from the region and the views are amazing because the surrounding areas are protected natural mangroves and lagoons, including great ocean views. This incredible golf course provides a first class practice area with a driving range and a large putting green for chipping and pitching. As additional services Riviera Cancun Golf Club offers a bar (food menu) and grill for refreshments while enjoying a marvelous view of the 18th hole. The Pro Shop is fully stocked with golfing accessories and equipment. Inside the clubhouse there are lockers, showers and steam room. 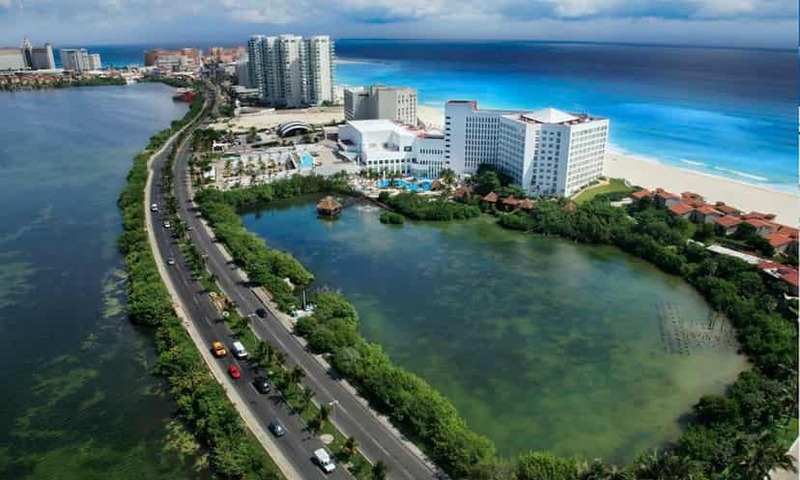 Due that this beautiful golf course is located in Cancun’s hotel zone you are steps away from restaurants and hotels.